Flexible packaging has a wide variety of uses. To help you pinpoint which type of package will best fit your needs, let’s review the basics of flexible packaging and some of its most popular uses. One of the top features of flexible packaging is that it allows manufacturers to determine the exact amount of product for a one-time use package. In addition, it offers the benefit of efficiently transporting many one-time use packages in a single delivery. This type of flexible pouch manufacturing is ideal for liquids, semi-liquids, lubricants, detergents, dental cement, over-the-counter pharmaceutical creams, cosmetic gels, kits for drug samples, and much more. 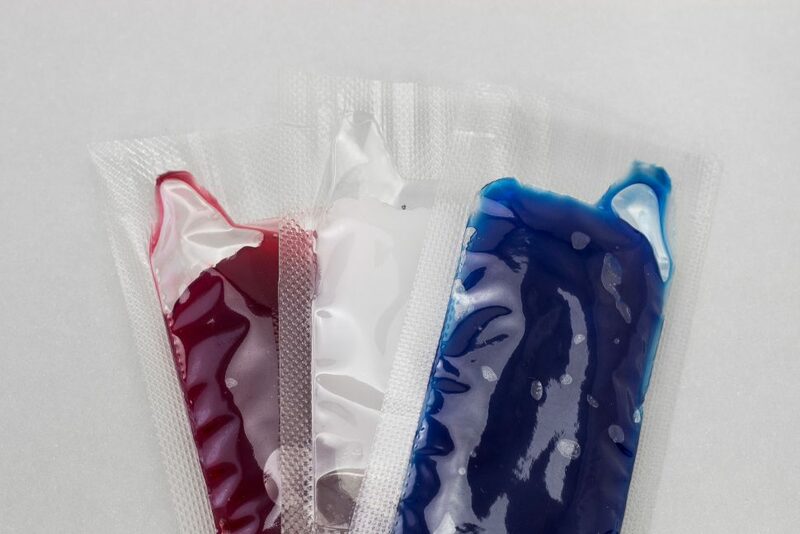 In addition to the single-use form-fill-seal packaging, other examples of flexible packaging include liners, pouches, seals, and bags. Different materials can be used when manufacturing packages, such as film, plastic, paper, or foil. What is their experience in designing single-use, unit dose, foil and liquid pouches and packets in a variety of shapes and sizes? Do their design choices include tandem, triple, 4-sided seal, and 2-part, multiple product styles? What features do they offer, such as dispensing spouts, custom tear notches, perforations, embossed lot and expiration coding, coupons, and die cut shapes? Do their fill weights range from a fraction of a gram to several ounces for liquids, semi-liquids, creams and viscous products? Are the packaging films they use compatibility-matched to package contents? Do they use compression/burst testing to ensure the integrity of the package seals? Is each project accompanied with all required regulatory documentation and full lot traceability? Are they ISO 9001:2015 certified? Do they operate under EPA and FDA cGMP regulations? As you can see, there is a wide range of decisions that need to be made when working with flexible packaging. Making the right choices can be overwhelming. The flexible packaging experts at Liquipak have the knowledge and 60-plus years of experience to help a variety of industries determine the most efficient and cost-effective design, material, manufacturing, and delivery. Contact us today to learn more.